Key Club is an international organization divided into 33 districts- We have clubs in Canada, Bahamas, Jamaica, Bermuda, and even China! Our international president, Rip Livingston (from the Alabama District) and vice president, Addison Clipfell (from the Michigan District) , are in charge of Key Club International. Then trustees are in charge of specific districts, our trustee is Amy Jiang (from the Texas-Oklahoma District). She is also in charge of our sister districts: Eastern Canada and Florida! 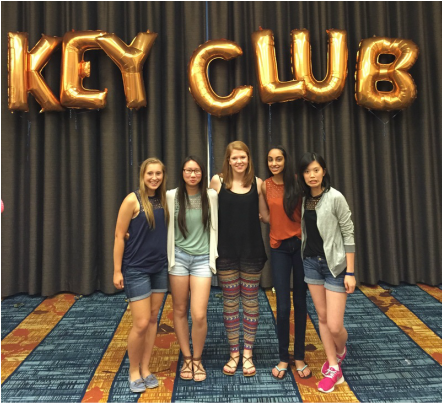 The Key Club Family includes Kiwanis that helps aid Key Club in their project. Our Kiwanis Club is Plainfield Kiwanis. Divisional Council Meetings are where Division 21 of Key Club (which includes 13 schools) gets together to share service project ideas and learn about what is happening in the district and internationally.